"I am mother of Bhavya Choudhary and we belong to Bhilwara. He secured AIR 38 in JEE (Advanced 2015). I am very happy for his success and I would like to give all credit of his success to Resonance , My child took admission in Resonance in 8th class for the preparation of NTSE. From that to till date whatever he has achieved, all credit goes to Resonance." "I am Devraj Singh Chouhan father of Abhay Singh who secured AIR 50, I want to give all credit to Resonance PCCP division. Faculties of PCCP has worked very hard and guided him for preparation of various competitive examinations (Olympiad , UCO, NTSE, IIT). 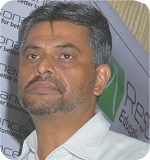 I also thanks Resonance faculties who have been continuously motivaing Abhay. By all these efforts Abhay is able to obtain AIR 50." "I Rajiv Lochan Jena father of Rohit Jena, who was studying at Bhubaneswar study center and achieved AIR 57, also topped IIT- Kharakpur Zone. I want to thank Resonance, their study material and also the support provided by all the faculties of Bhubaneswar study center. The faculties have taught, motivated, and were very helpful in removing the fear of negative marking. I want to thanks whole Resonance system." "I am Roopal Kotak mother of Anoosh Kotak, who have achieved AIR 87 in IIT-2015. Our whole family/relatives/friends are very happy and celebrating the success of Anoosh. Like to thank GOD for making me so happy. I don’t have words to express the support provided by Resonance. In entire 2 years at all the difficult situations and steps the support given by faculties (AGL Sir, RKV Sir, SM Sir, CDS Sir, CSS Sir) in motivation and giving moral support to us. I am not saying this just for the sake of saying but I really felt this from bottom of my heart. I had a very good experience in Resonance, My elder son also studied for one year in Resonance Ahmadabad Center, but coming to Kota was a very nice experience. I strongly feel that apart from parents if student get so much support from the Teachers then they can achieve anything. In these 2 years Anoosh had been prepared not only for IIT but also for his life. I would like to give all the credit to Resonance and its Team. I would like to share one more thing that I belong to Rajkot Gujarat, all our friends and relatives keep on taking advise from us, I only tell them that if I would have another son or daughter I would defiantly send them to Resonance Kota." "Resonance and my family along with Rajat worked very hard which ultimately led to this result. It was an out of the world feeling when the results were out. We were always confident about his success, as he has been performing really well academically. With his efforts and by God's grace he has been a consistent good scorer. The support by Resonance cannot be described in words. The faculty members assured Rajat that they he can contact them at any hour of the day.They always induced confidence in Rajat. The overall environment of Resonance was exceedingly good. The study material they provided was upto the par. Parents should not unnecesarily pressurize their child. Let him do what best he can. Thank You!" "The professors at Resonance were superb in bringing out all the latent skills of Surya and building up his condence till the day of his JEE (Advanced) exam. They always seemed to be there for him. The quality of teaching at Resonance is admirable, the administrative staff also lents very good support. I believe Resonance will continue to hold on to its leading position"
"I am feeling on cloud nine after accomplishment of my son's target of securing top-100 rank in IIT-JEE 2012. My message for parents of other Resonance students is not to overburden the student, cherish them, encourage them and inspire them to work to give out the best they can." "We are proud of our son and thanks Resonance for the support. My message to parents of other Resonance students is that you have made an excellent choice. It is a right selection for making a golden career." "Getting in top-100 in IIT-JEE is just a dream. With the help of Resonance and hard work of my son this dream has come true. We are feeling a very proud parents. Our message for parents of other Resonance students is to just believe Resonance Gurus. Put into practice whatever they advice. They are excellent guides for your child. Have faith in them and just keep motivating your child and they would do wonders." 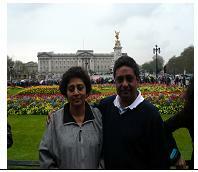 "I am very happy for this great success of my son Shubham. I appreciate the hard work of Resonance’s faculty members. Apart from IIT-JEE they guide the students for other competitive exams like Olympiads, KVPY etc . They are always ready to help the students. The teaching methodology of Resonance is very unique which sustains the interest of a student & provides the healthy environment that enables a student to focus on his/her goal." "When we were deciding to admit my son for IIT-JEE coaching we found the Resonance best institute of IIT-JEE preparation. When we met R.K. Verma sir, I was really impressed with his sincerity & dedication towards students, so I decided that this is only the institute who can give right path of my ward." Resonance proved that my faith & choice was absolutely correct. 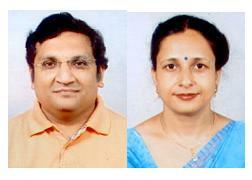 The faculty members helped my son in getting AIR-05 in IIT-JEE. Resonance works with full sincerity & keeps transparency in Results. "Archit was the student of Two-Year Classroom Contact Program of Resonance. He was the top batch student of Resonance. I want to give his success credit to Resonance because of their systematic Teaching Methodology, Faculty members who always motivated him to achieve the targets. Other than IIT-JEE he has scored 110th Rank in International Mathematics Olympiad. It would not have been possible if Resonance Faculty Members hadn’t given him the proper guidance about these examinations and its future career avenues". We are very grateful for all the support Resonance has given to our ward. Resonance has not only taught him, but also developed his competitive skills. This amount of dedication in our child's studies by Resonance has led him to the victory. We prefer Resonance because it has always insisted on quality education. Resonance's academic schedule and regular tests make child competitive enough to crack IIT JEE. Not only one, but both our children are selected in IIT with help of Resonance. We once again thank Resonance for paving the way to our children's successful careers. My ward Divyam Bansal has got AIR-10 in AIEEE 2011 & AIR-31 in IIT-JEE 2011. We knew that he will give good result but we never expected such great results from him. Really it is a very big achievement. He has made History in Muzaffarpur by securing such high ranks in AIEEE & IIT-JEE. This would not been possible without the help & support of Resonance & RKV sir. I would like to thank faculty members of Resonance, especially AGL sir & VPM ma'am to clear his all doubts every time even at the late night. "Resonance really supported in our ward's success. The faculty members especially at Jaipur Study Centre were very cooperative; they were always ready to help students in removing their doubts. My ward was able to achieve his goal because of Resonance's Classroom coaching, guidance and his hard work ." "We have received a very good response from Resonance both from Academic & Non- Academic Staff members. The personal care given by Resonance especially RKV Sir is really appreciable, something which I have not seen in any other institute. Even the faculty members are highly learned and cooperative and played a major role in Anvit's success." My son, Mihir Mehta, was a student of Resonance. The excellent teachers , study material, the personal attention to performance and problems and the guidance for appropriate study habits, which he got at this institute were invaluable. He achieved AIR 138 in JEE 2009, AIR 29 in AIEEE 2009, and is presently doing B.Tech in CSE at IIT Delhi. The discipline and work culture he learned at Resonance are still serving him well. Our grateful regards to RKV sir and all the other wonderful teachers.